When I see people with a “modified” car driving around with hazy, discolored, yellowish headlights I am instantly judging you. 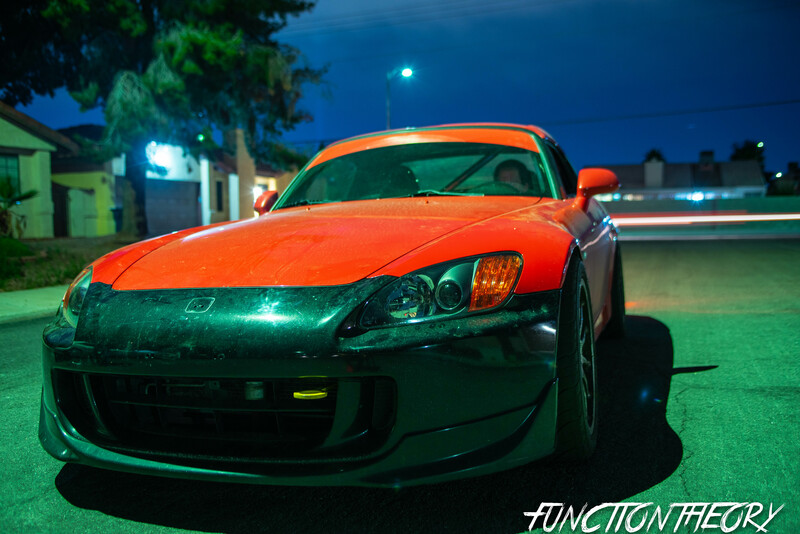 How can you say that you’re an enthusiast if you don’t even care how your car looks. 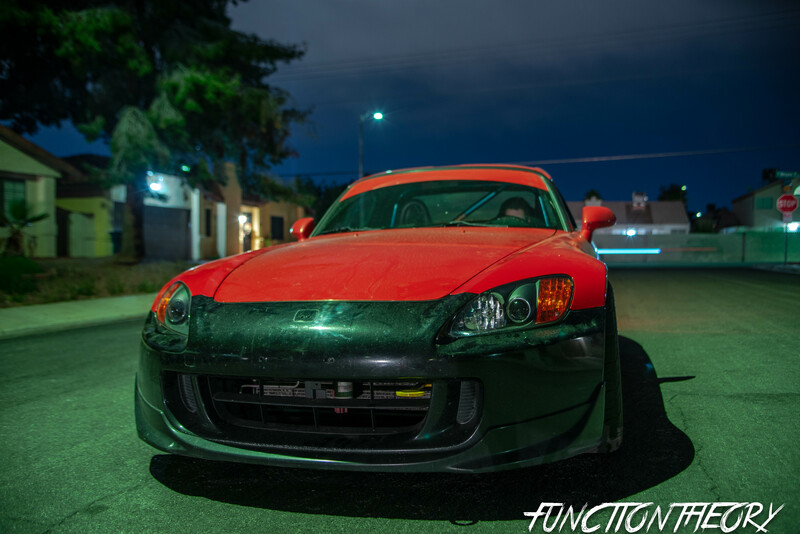 Yes looks aren’t everything, and usually here on FUNCTIONTHEORY looks take a back seat, but everyone wants their car to look somewhat appealing. You spend all your hard-earned money on getting cool wheels, and lowering it which as we know makes the car look good. But for some reason you don’t care about the headlights? I understand that we all don’t have budgets for complete resprays, or to replace major damage to the body. In fact there probably isn’t anyone that understands this more than I do, just look at my 4 door daily. Its 3 different colors, there is quarter panel damage on one side, door damage on the other, and the paint has faded almost all the way off the roof to bare metal! But that still doesn’t mean I don’t want to do everything in my powers to try to keep it looking a good as possible. Try having some pride, and integrity in your car. It doesn’t have to be a show stopper but at least make it look like you love this thing that you call your hobby, or passion. Having ugly headlights on your fixed up car is the equivalent to a super model having hairy legs. Yes she still looks good, and we shouldn’t judge her because she has hairy legs. But we do, and when she shaves them she instantly becomes more appealing. 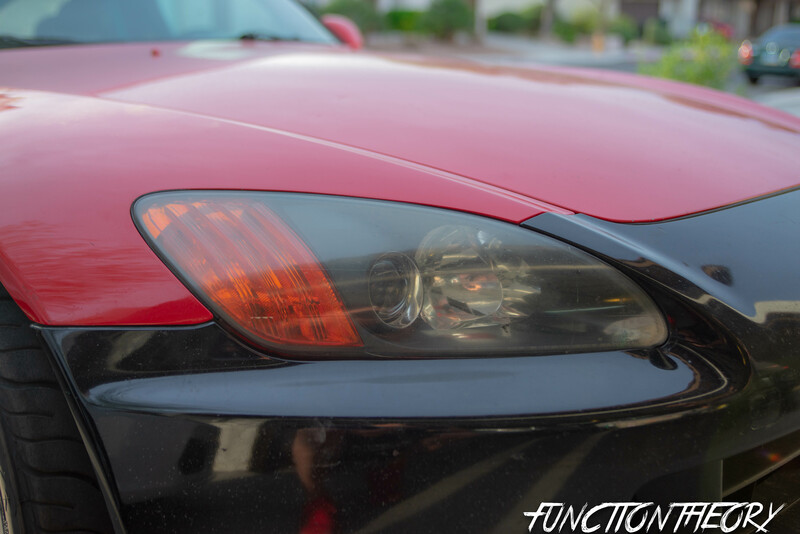 Same goes for your headlights, yes they still technically work, But cleaning them can totally transform the look of your car. 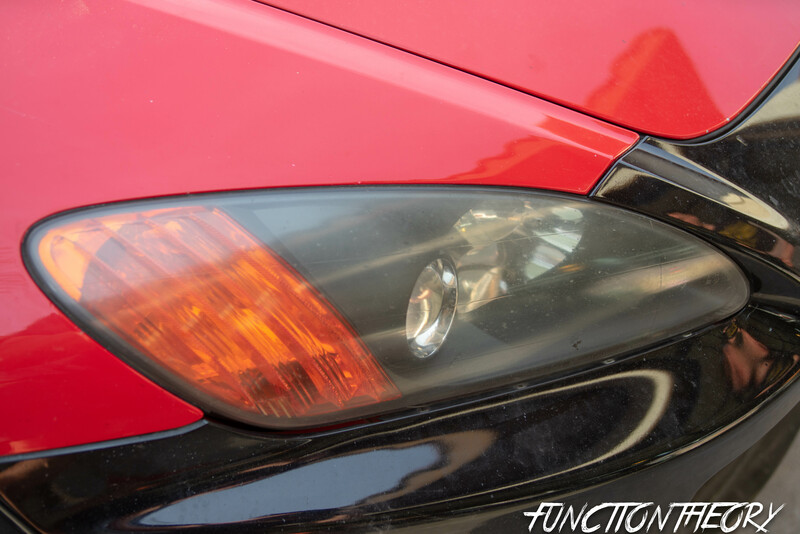 So what causes your headlights to become discolored? From the factory your lights come with a clear coat on them, but over time (just like your paints clear coat) this will fade. Your lights can fade even faster if harsh chemicals, or cleaners are used on them. 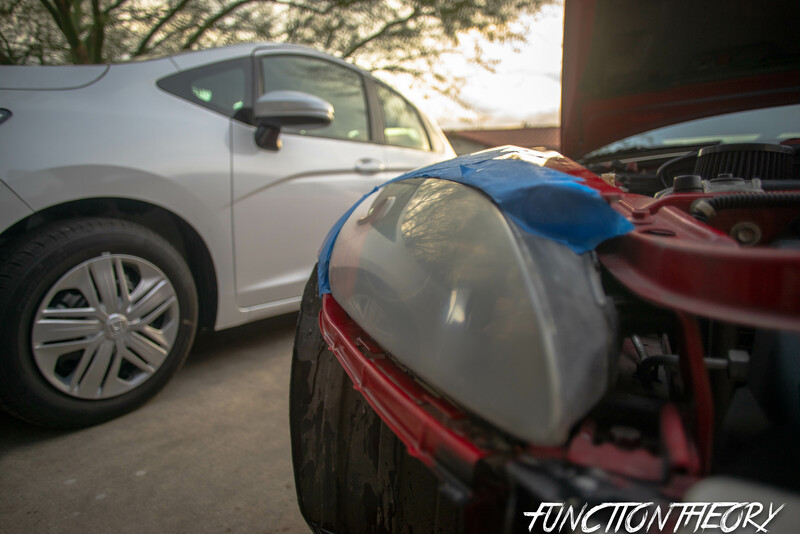 Once your clear coat is gone this allows for harmful UV (ultraviolet) rays to start to break down the plastic and cause microscopic cracks and pits in the plastic which then will oxidize causing that opaque look on your headlights. If your car is brand new and you want to prolong the inevitable, you can apply UV protection every 6 months or so. 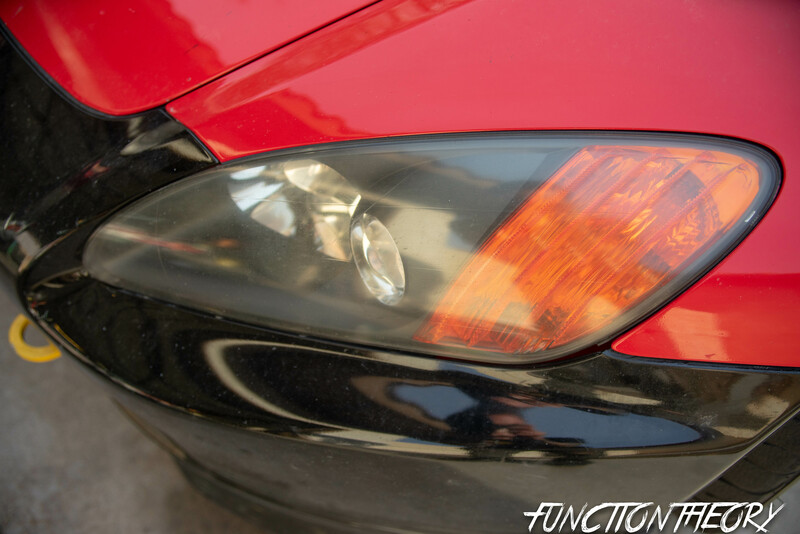 This will help slow the aging process, and keep your headlights looking crystal clear. 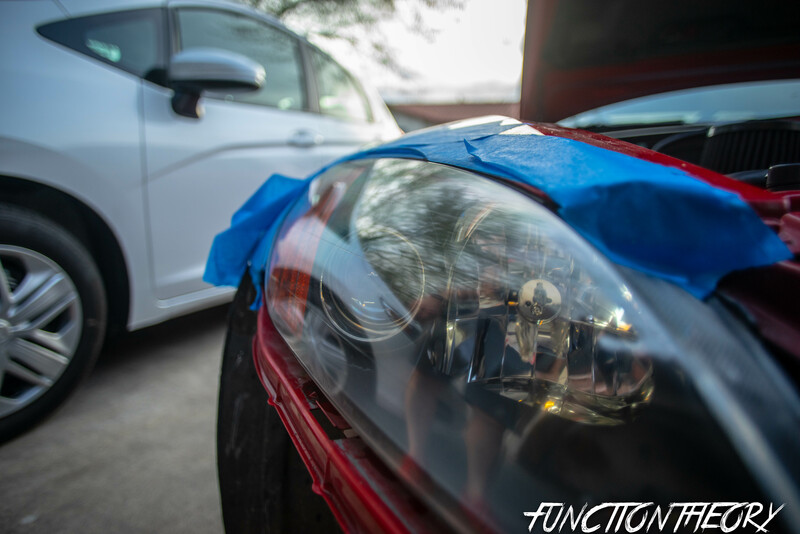 But if it’s already too late, and your headlights look terrible then it’s time to restore them. The restoration process is basically sanding off the oxidation, and minimizing the crack’s and pit’s by sanding a teeny tiny bit of the plastic away. Taking a rubbing compound which is gritty and will help to fill in all those left over microscopic crack’s and pit’s to leave a perfectly smooth surface. 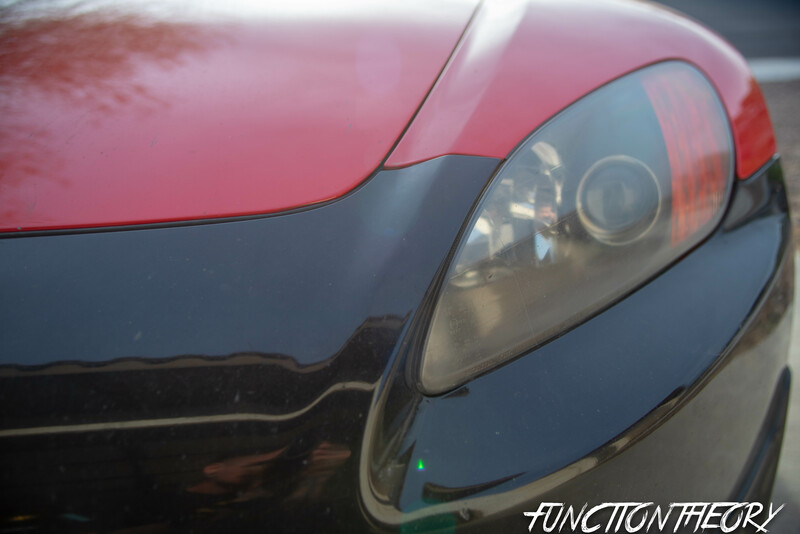 Then you will apply the polish which will make the headlights shine bright like a diamond. Lastly seal it with some UV protection. It’s the same principles of detailing your car. 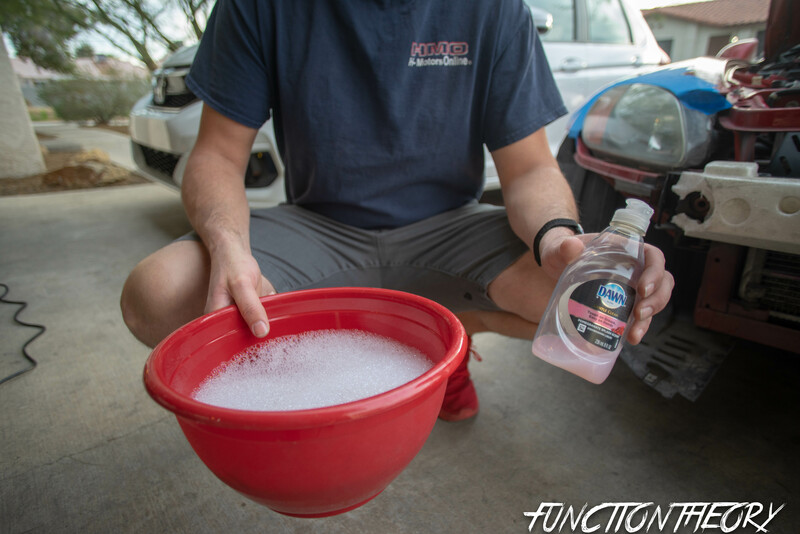 Much like detailing your car there are many gimmick ways of trying to cheaply and easily do it, but in the end there is no way to short cut a complete car detail. I say this because there are MANY, MANY! 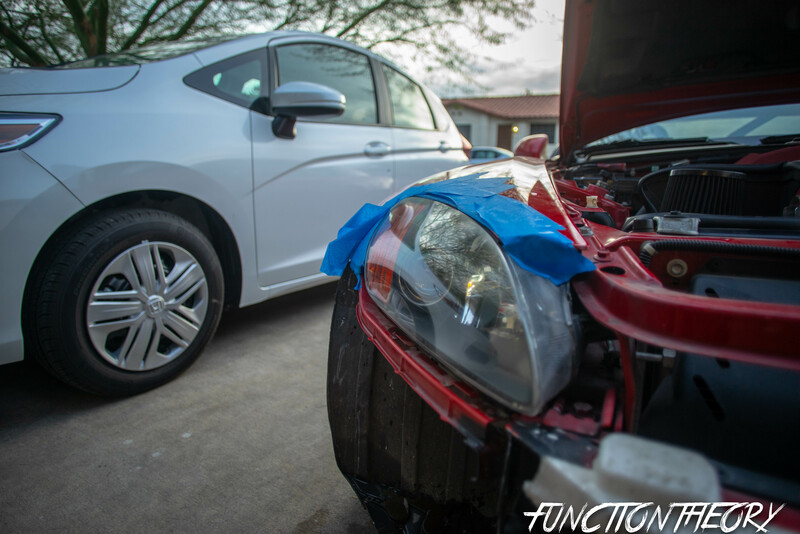 headlight restoration kits, and a plethora of DIY information available. But like everything in life nothing comes easy, and usually it’s too good to be true. 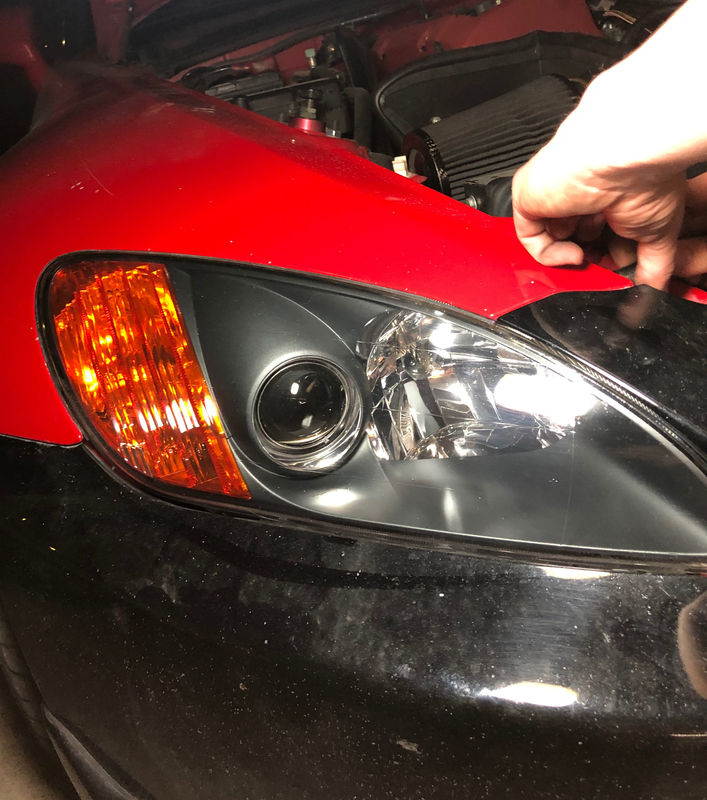 In my experiences yes, the headlight restoration kits you find at the local auto store will work to a certain degree, but if you want the full experience you’re going to have to do what I’m going to be describing below. The way I’m going to show you is the way that all professional detailing shops that charge hundreds will do it. This is everything you’re going to need. aside from some rags, and a bucket to wet sand with. 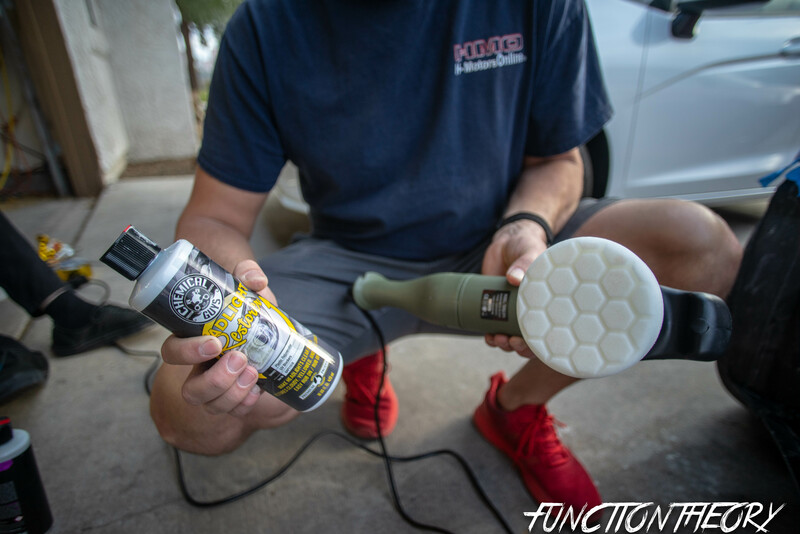 I’m using the Chemical Guys V32 extreme compound, headlight restoration, and jet seal. Wet sanding from 1000-3000 incrementally increasing by 500 each time. 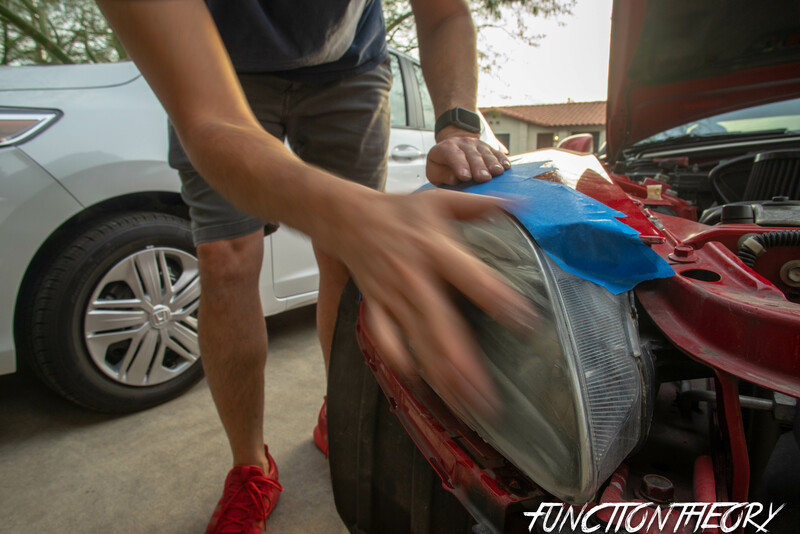 You don’t necessarily have to use a DA buffer, you technically could just apply the compound and headlight restoration by hand with an orange handheld pad, and a white handheld pad. But the results may not be to the their fullest potential. 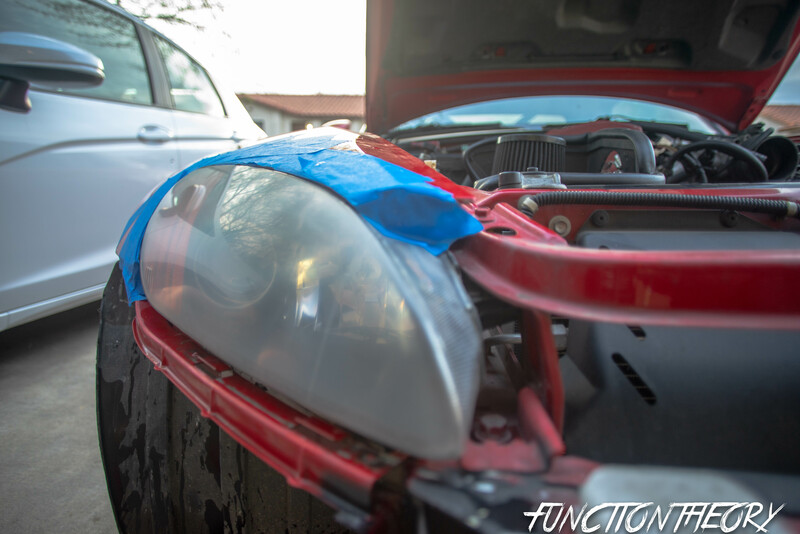 Let’s take a look at the headlight before we get started. 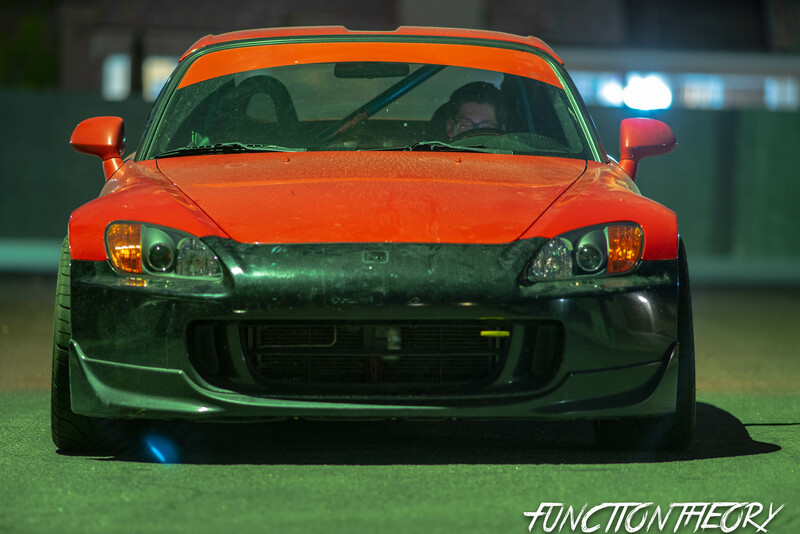 Now also keep in mind that these headlights are not actually in that bad of condition. Even if your lights are 10x worse than these, you can still achieve the same crystal clear results if you follow my process. 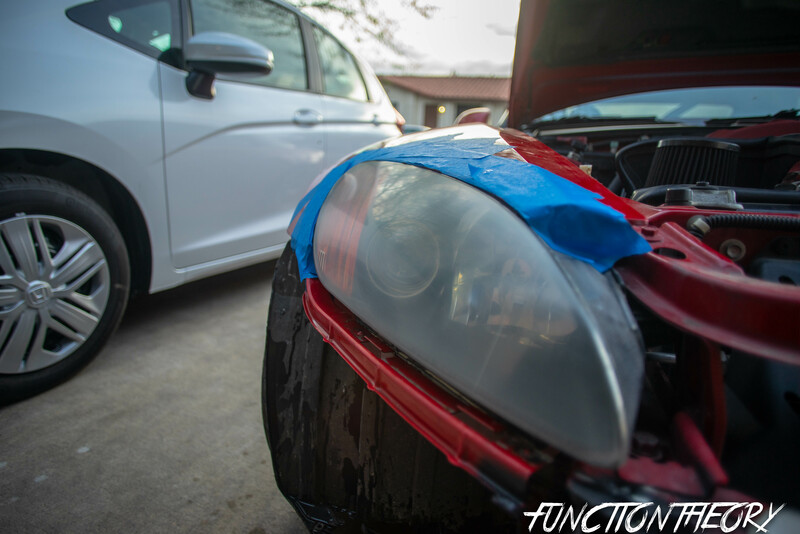 Starting off you’re going to need to tape off the area around the headlights so while sanding them you don’t accidentally sand your fender, hood, or bumper. put a few layers of tape on. 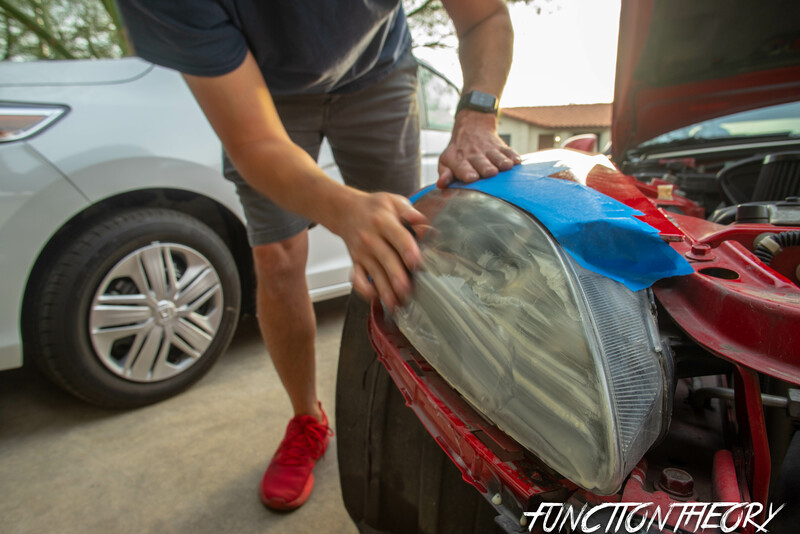 Don’t be stingy with the tape, the last thing you want to do is remove the tape when it’s all done and see that you sanded some of your fender. lets just say you can’t be to safe when applying the tape, so use it like its free. 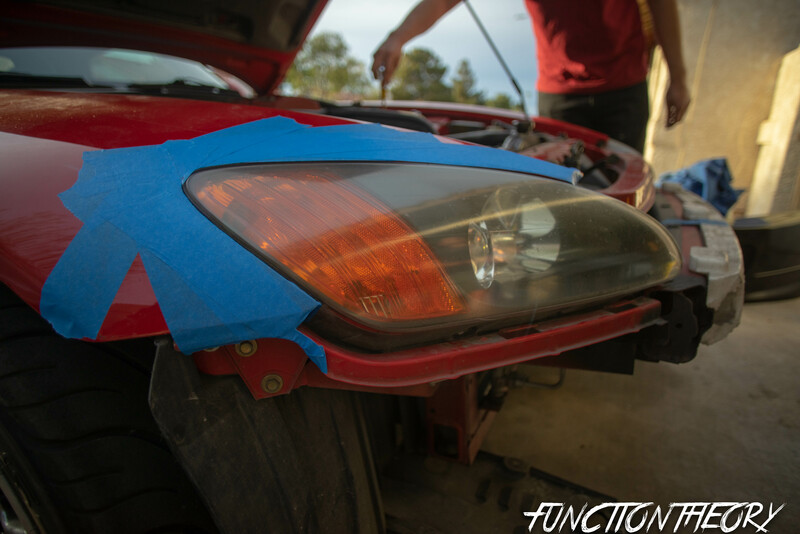 We also chose to remove the bumper because of the way the point of the headlight fits in it. 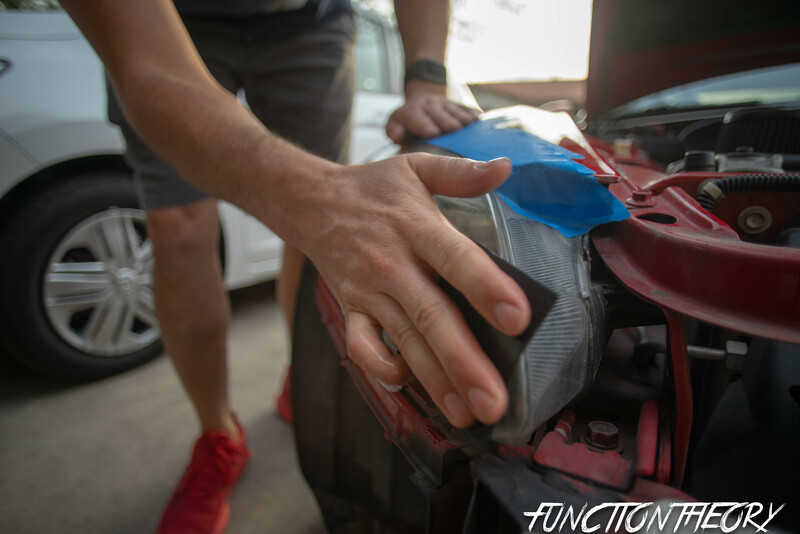 removing the bumper isn’t necessary but its a great precautionary measure to ensure that you don’t mess up the finish of the bumper, and ensuring that you are getting every area of the headlight so it looks crystal clear from side to side. Then you are going to start out with a sheet of 1000 grit wet sand paper. Fold it into thirds, and dunk it in the water. 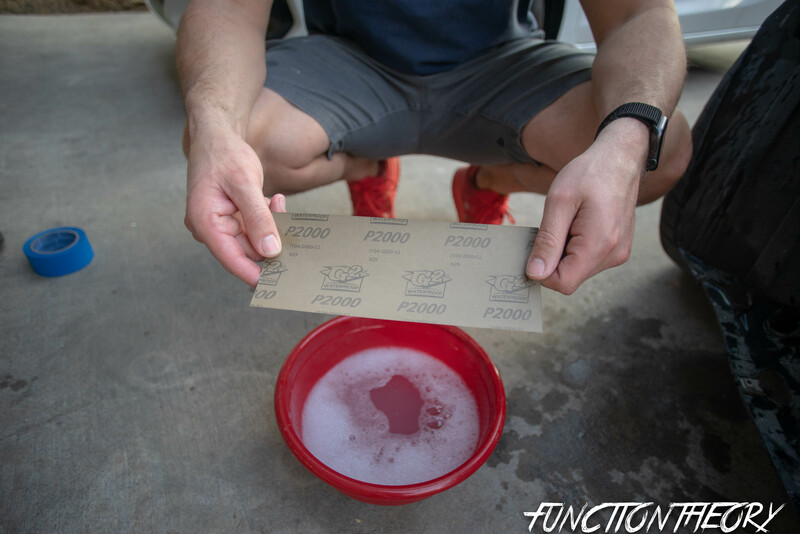 Make sure you continue to dunk in water throughout out the sanding process for each stage of sanding. 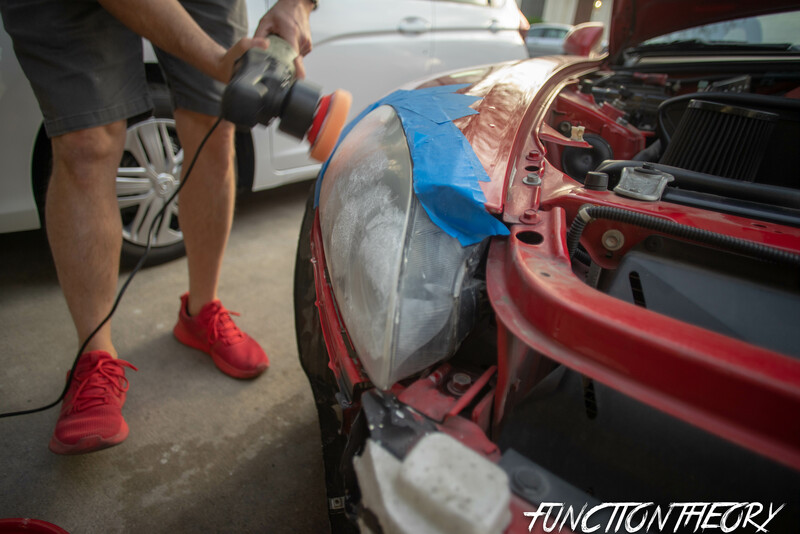 When sanding the headlight make sure you are only moving in a straight forward to back motion. DO NOT go in a circular motion. Try and keep sanding the same direction the whole time (don’t go up and down, then side to side) Once you start sanding you will notice right away the yellow oxidation coming off. It will look milky white, make sure your are repeatedly dunking in the water. 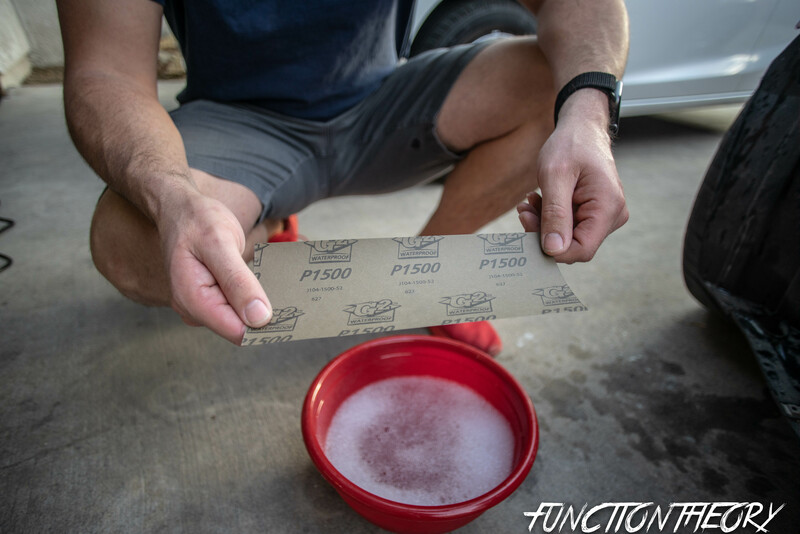 You can even cup the sand paper slightly to help bring more water to the headlight to wash away the contaminants from the headlight. 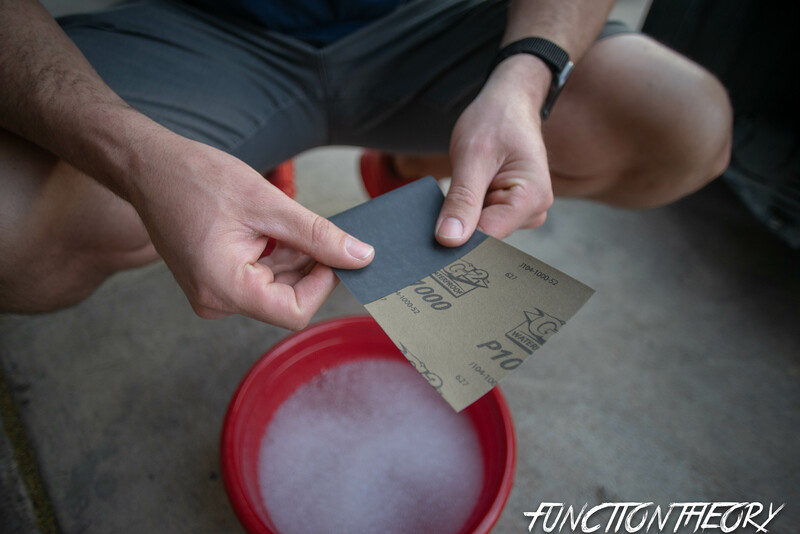 You are going to sand until there is little resistance (about 2-5 mins) Then move on to 1500 sand paper. same process as previous grits of sandpaper. thirds, lubricated, not in a circular motion, no resistance. do the same process as the previous steps. Now on to the final sanding stage, 3000 grit. this isn’t actually sand paper, rather a pad. But you’re going to do the same exact process as in the previous steps. Now take a towel and completely dry the headlight, and you should be left with very hazy looking headlight. Don’t worry this is how it should look. The sanding process is now done. 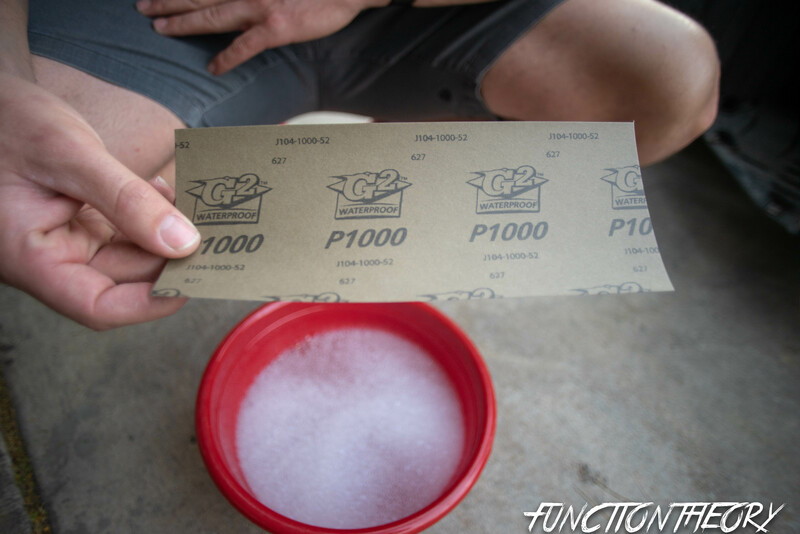 You should have sanded with 1000 grit, 1500 grit, 2000 grit, 2500 grit, and finally 3000 grit. I have done it before only using 1000 grit, and 1500 grit but it’s just doesn’t yield the results that are to die for, like it does when you go all the way to 3000 grit. Now we are going to move on to the buffing part. 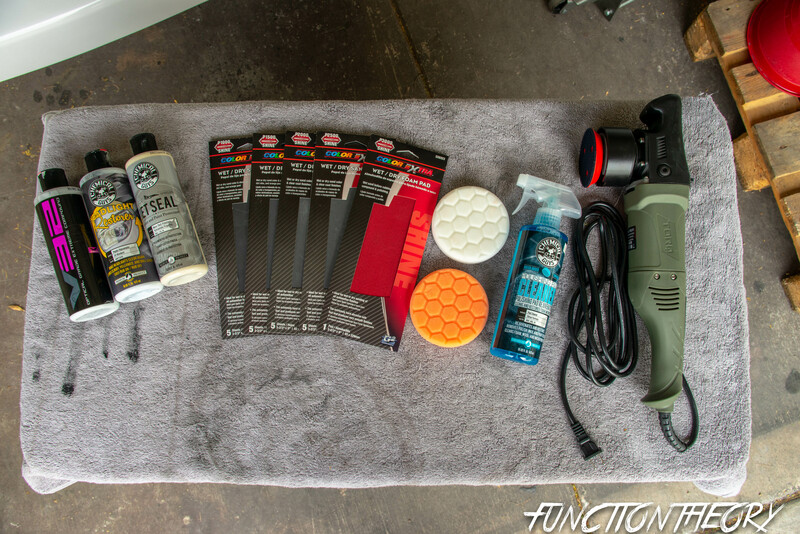 Grab the V32 extreme compound (or a like item) shake well, and a medium cutting pad. 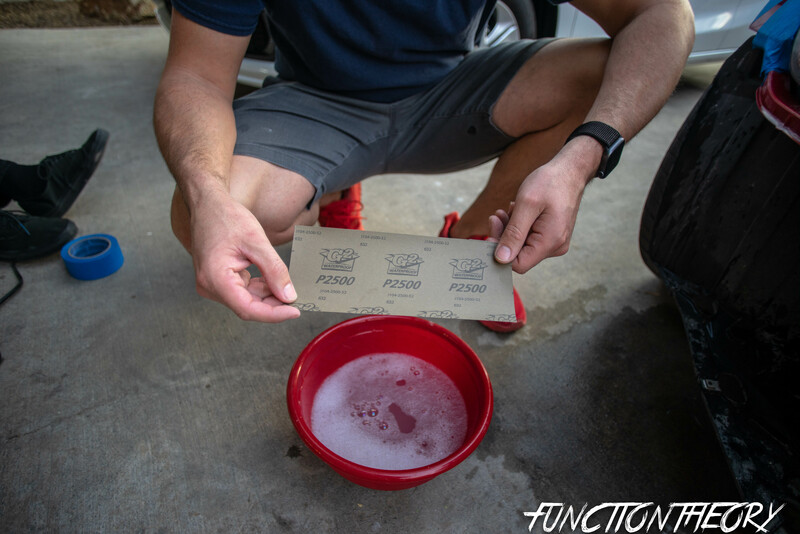 Apply 4 dots to the pad, blot around the headlight area, set buffer to slowest speed to spread the compound around without it flinging everywhere, then move up to a higher speed to properly work in the compound. 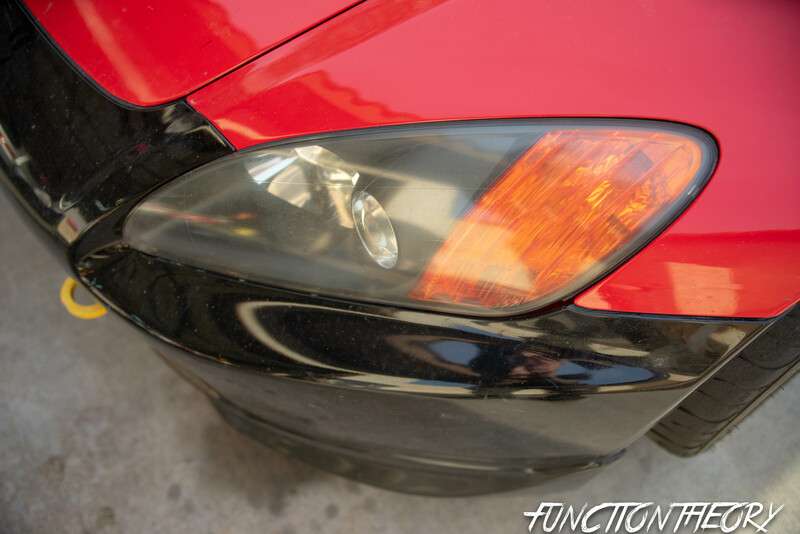 moving across the headlight in a left to right, up and down movements. 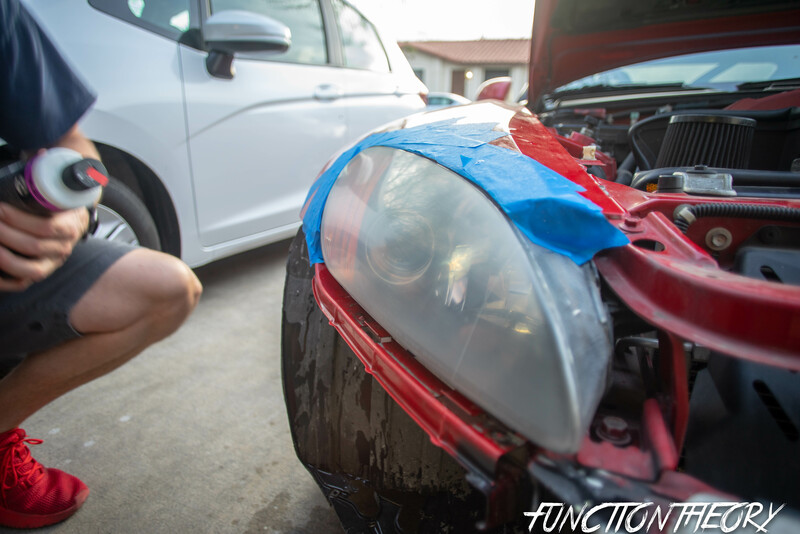 (not circular) do this for about 2 mins making sure to evenly cover all areas of the headlight. 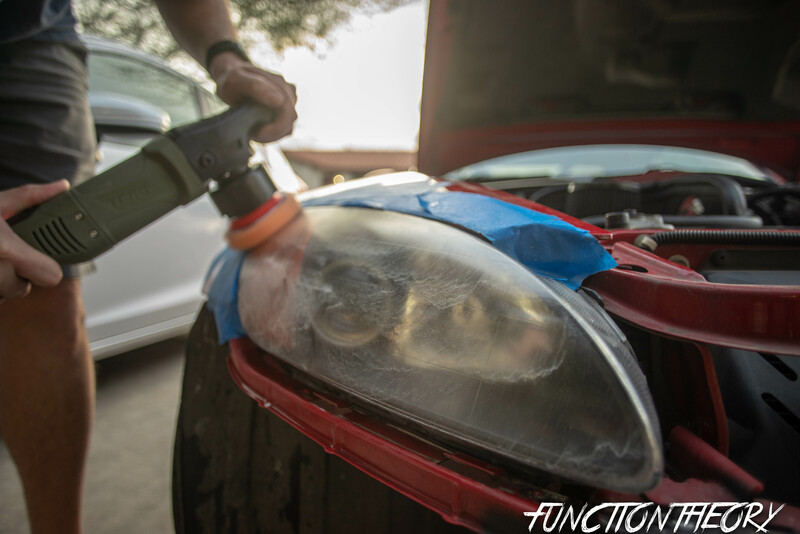 Then wipe headlight with a micro fiber towel until all compound is removed. at this time you can start to see the headlight getting clear. Once you have completed that step you re going to move on to the last step which is applying a new coat of UV protectant. 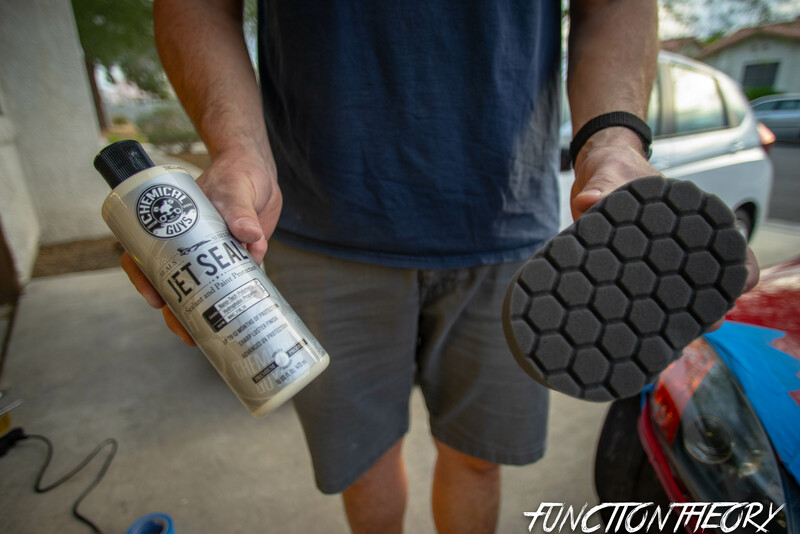 I use the Chemical Guys Jet seal. This should just be applied by hand, I used a handheld finishing pad. 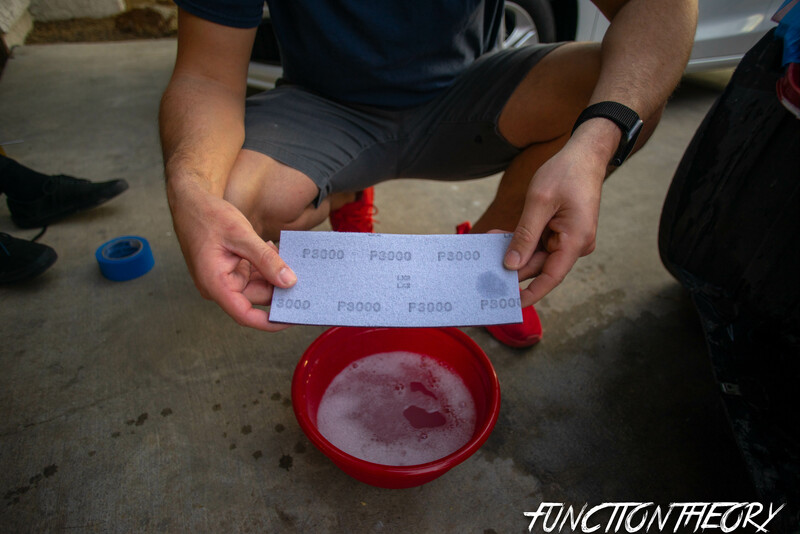 Shake well apply 4 small dots to the pad, blot on around the whole headlight, then work in manually. Now you must let this sit for about 10-15 min. you’ll know its ready to be removed when the headlight becomes a bit hazy. wipe away completely with another separate micro fiber towel. What you should be left with will be noting short of amazing. 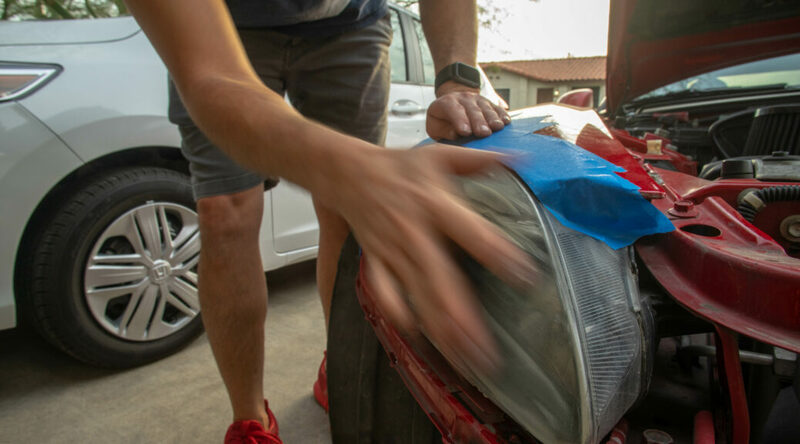 Please remember that from now on when you wash your car DO NOT spray a pressure washer or high pressure hose at the headlight in a close range. It will start to peel off the compound, and polish you have applied. Yes you still can use a pressure washer or high pressure hose to wash your car, just make sure when you spray the headlights the nozzle is a few feet back. 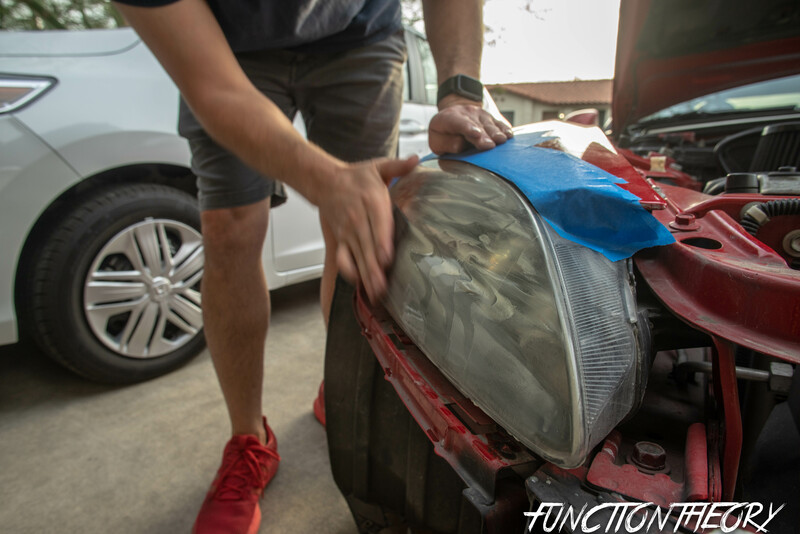 If you want to take the restoration process one step farther… you can apply a clear bra style film to the headlight to “lock in” your results, and further more extend the life of your lights that you just worked so hard to restore. 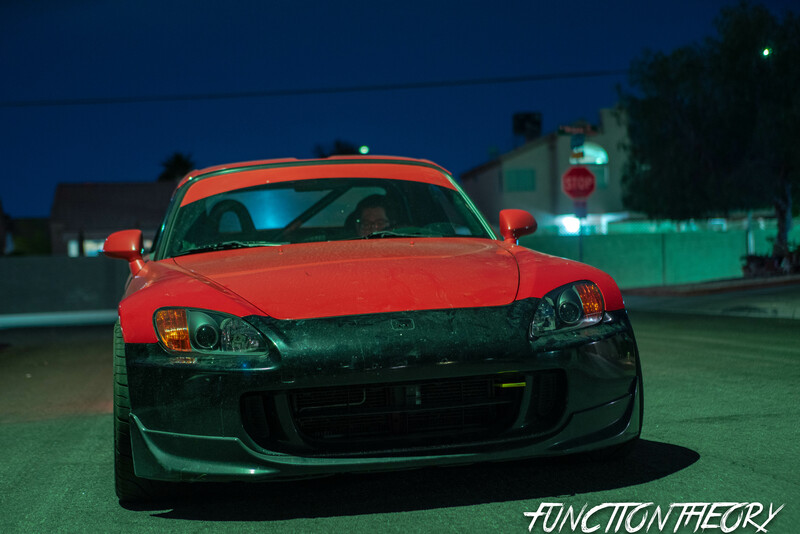 Unfortunately Patrick’s car is extremely dirty, and we finished the project at night. so the pictures don’t really do the lights justice. 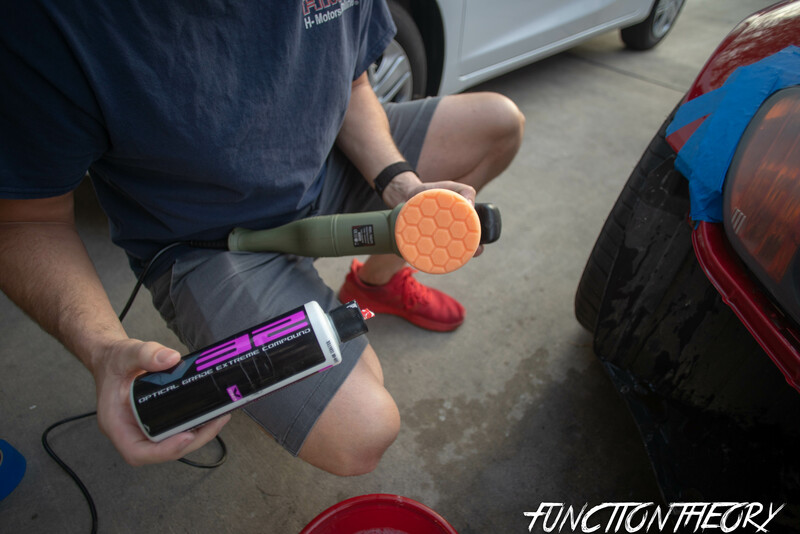 Thanks for taking the time to read this article, I hope this will be your “weekend project” this weekend for your car. 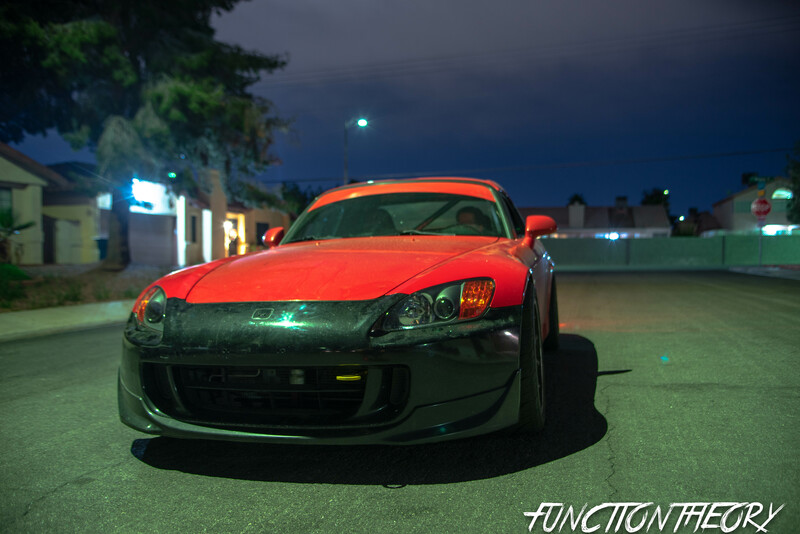 If you’re in Vegas and your headlights look terrible but your car looks great. 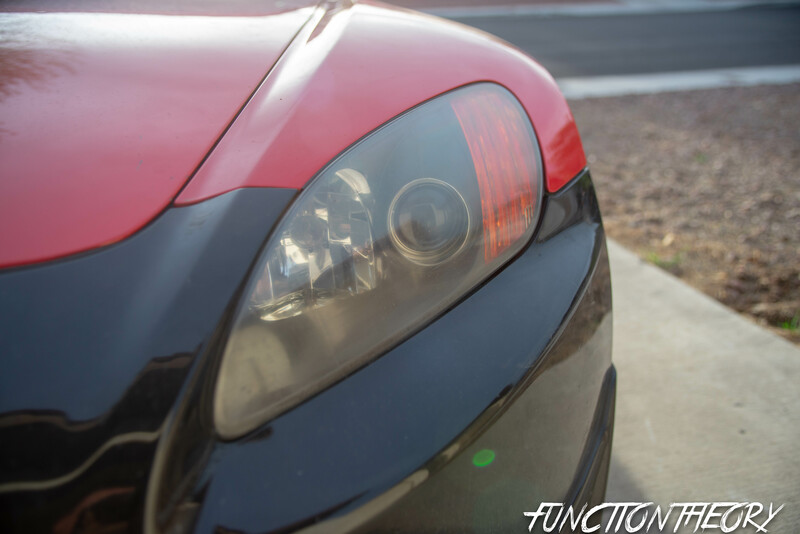 I would love to do your headlights. NO JOKE, or if you are unsure of any of the steps please feel free to ask me anything about it. DM me on instagram @functiontheory or message me through the blog, or send me an email. Please like, comment, and share. help me help you, by making us more popular.